For me and many other children’s book creators, CBCA is far, far more than this. The CBA provides us with a network, a bond and an alliance by which we can engage, share, learn and grow as creators. The CBCA gives a voice to our work and purpose and motivates authors and illustrators to strive for excellence in our field. It is thanks to the CBCA amongst other organisations such as SCBWI and IBBY aw well as regional writing centres such as Writing NSW and Writers Victoria and professional bodies such as ASA that creators find their feet, feel encouraged and make friends and connections in what is often a solitary occupation. 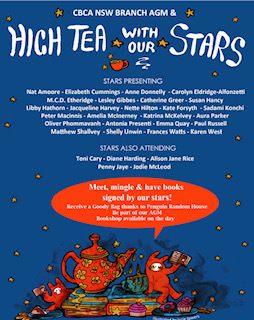 So it was a great honour to be invited to be part of CBCA NSW’s event; ‘High Tea with Our Stars’. 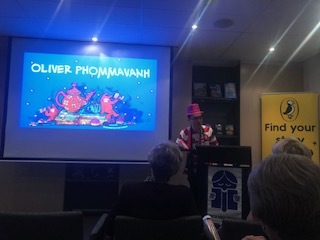 To have the opportunity to speak alongside such greats as Libby Hathorn, Kate Forsyth and Jacqueline Harvey and to catch-up with high flyers who I can now call friends like the talented Emma Quay and the marvellous Oliver Phommavanh was so exciting! Then there were other emerging writers and illustrators and if you have not heard of the likes of Katrina McKelvay, Anne Donnelly, Shelly Unwin and Antonia Presenti then you need to get to your local bookshop and demand their latest releases! 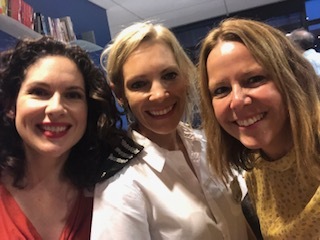 Seriously Saturday’s event exuded talent such that I imagine the rooftops of Penguin Random House’s Offices was spontaneously releasing red balloon, streamers and confetti in celebration of the amazing recent releases. If you think it might be an event that daunts those who are still to be published or who are in the early stages of their career think again. The chance to sit and hear Kate talk about fairy tales or Enna explained the roots of her story ideas only serve to inspire and ignite that flame of creativity. Talking to other authors there we all agreed that we were itching to get back to our desks and get writing! I had taken my father along with me to hear my talk and he was blown away with the enthusiasm the crowd gave each presenter and commented on the warmth and positivity in the room! This coming from a seasoned presenter and conference goer was praise indeed! So go and ask your bookstores for cool picture books like; There’s a Baddie Running Through this Book, or No Baths Week. Or if MG and YA is more your thing then what about Valisia the Wise or Love Lie Repeat by the wonderful Happiness blogger and author Catherine Greer and you will be guaranteed a good read. Feast your minds and share the word that there’s a whole new raft of relatable and entertaining literature for the young out there to be enjoyed! 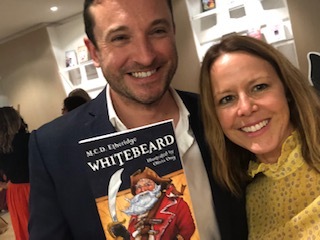 So a massive thanks to CBCA and to Penguin Random House for hosting this event and for including such a diverse range of narratives and experience at what I hope will be a regular event in our writers calendars!